We reported on Precious, the Pit Bull who stood guard over her unconscious owner after a house fire, earlier in December. The loyal dog was forced to leave the county due to Breed Specific Legislation that does not allow residents to own a Pit Bull. Precious and her puppy had to go live with family of their owner that lived outside of the county. But Precious’s new owner wasn’t able to care for the dogs. They were able to re-home the puppy, but Precious had nowhere to go. 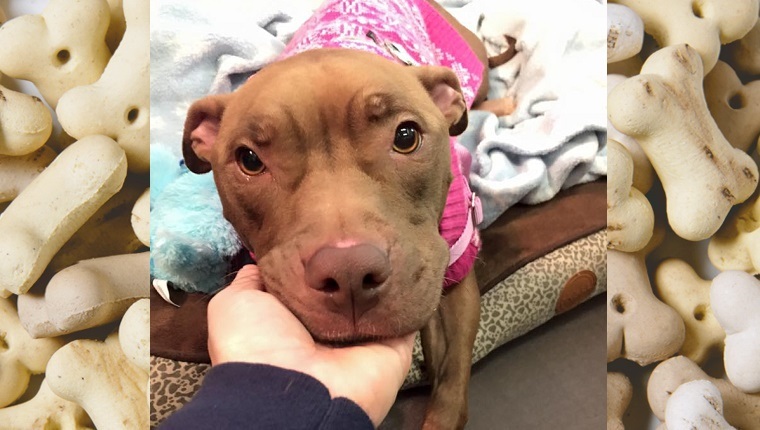 So a volunteer with Babes 4 Bullies, a Pit Bull advocacy and assistance group, took on Precious as a foster. Precious suffered from smoke inhalation after the fire and had fleas, but her new foster mom is giving her plenty of love and attention while allowing her some time to recover. 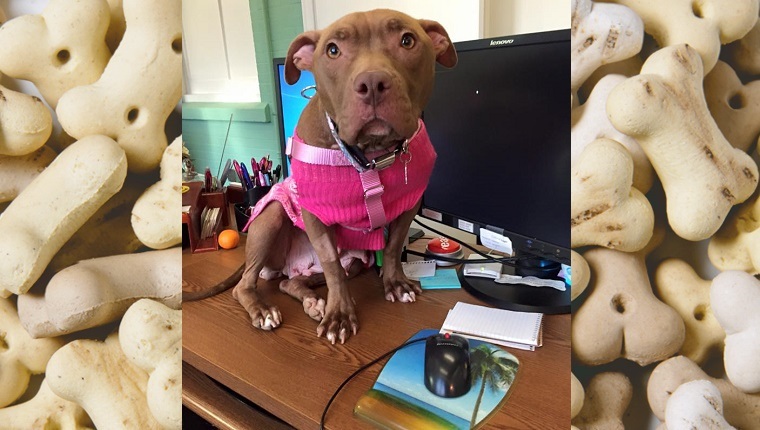 Precious’s foster mom says she’s an amazing dog, and she even goes to work with the loyal pooch. She intends to give Precious a bit more time to recuperate before looking for a home in the new year. It’s sad that such a loyal, loving dog has to be uncertain of her fate and get passed around as if she’s not appreciated for her devotion. Breed Specific Legislation hurts dogs like this. What do you think? Should laws that punish dogs based on their breed exist? Let us know in the comments below.